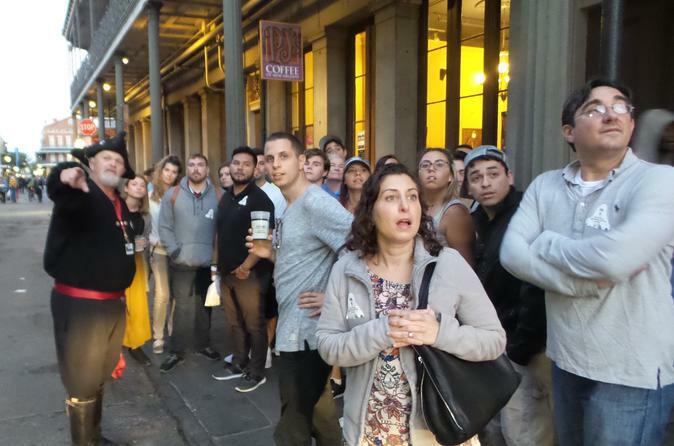 Delve deep into New Orleans’ haunted history on an evening French Quarter walking tour that doesn’t just walk by an authentic haunted location, it takes you inside to experience its well-documented paranormal activity for yourself. Hear tales of murder, mayhem, voodoo, and vampires from your guide as you look for evidence of ghosts and stroll the lamplit streets and squares of America’s most haunted city. When the sun goes down, connect with your guide next to the St. Louis Cathedral in the French Quarter, and set off by foot to explore the historic heart of New Orleans. Stroll down dimly lit streets lined by iron-lace balconies and curious storefronts while a guide shares the true tales of scandals, crimes, and mysterious events that shocked the city. While most tours just take you in front of stately Creole mansions, this one takes you inside an authentic haunted location. After visiting this and other legendary haunted sites, be sure to check your photos for orbs and other evidence of paranormal activity. The tour ends at the departure location. Special Offer - Book and save 44% compared to the local supplier's prices! - Book Now!